Back to Africa began in 2008 as an offshoot of Heart of the Bride Ministries, Inc. The primary objective of Back to Africa is family preservation and care for families at risk. The artisans, most of whom are single mothers and/or refugees, lived in extreme poverty before they began creating Back to Africa jewelry. The Back to Africa project has benefitted more than 400 people. They have seen firsthand how a small paper bead or simple ceramic pendant can profoundly impact a community halfway around the world. 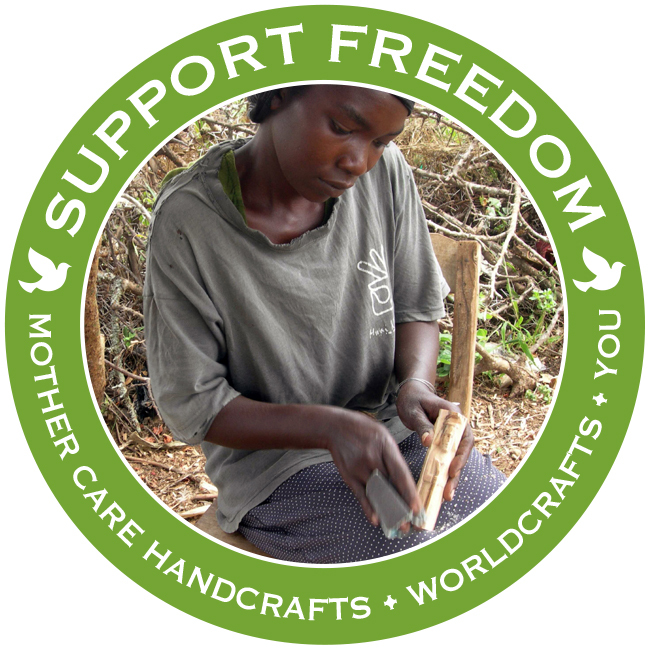 Mother Care Handcrafts helps more than 400 disadvantaged artisans earn a fair wage by using their skills in the centuries-old traditions of carving, jewelry making, and basket making. Among the artisans are numerous women who have been rescued from prostitution thanks to the jobs Mother Care can offer. Sales provide guild artisans a way to feed and clothe their families, as well as affording them a chance to hear the offer of eternal life. Mully Children’s Family (MCF) created Yatta Vocational Training Centre to restore young women broken by exploitation. Each year, the training center rescues approximately 100 victims. When they come to the training center, they are taught vocational skills, computer training, family care, and are discipled in developing lives with eternal hope. 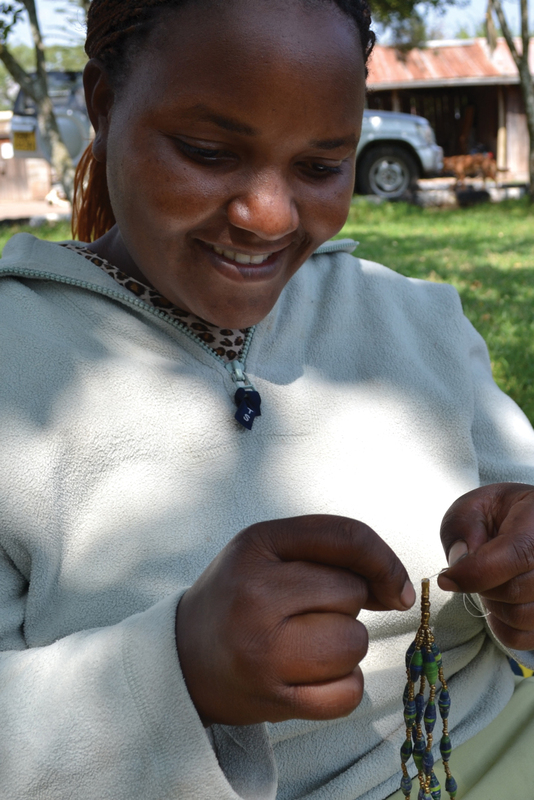 Young women like Felister Mwikali are taught beadwork, dress making, and design. Felister came to the center after being abused by a man who lured her out of her village with promises of a better life. However, he threw her out of his home when she became pregnant. Upon returning to her family, she was treated with disdain due to her pregnancy, and she was not allowed to attend school. Because of the help of MCF’s training center, Felister has been able to save money and plans to start her own business. 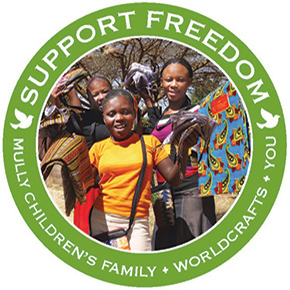 Through their partnership with WorldCrafts, artisans at MCF’s Yatta Vocational Training Centre will receive a fair wage for creating beautiful handcrafts. Each of these young women’s dignity is being restored as they learn their own great worth. 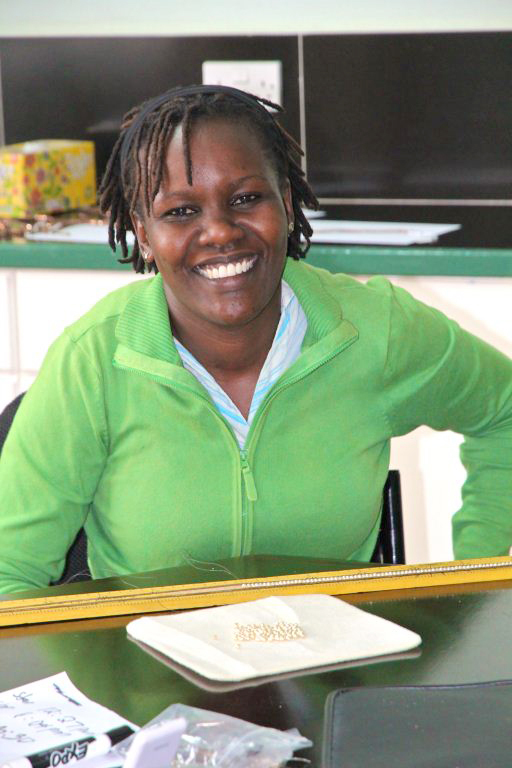 Deaf people face incredible obstacles to finding work and sustainable livelihoods in Kenya and other developing nations. As part of the larger DOOR ministry (Deaf Opportunity OutReach), Sasa Designs empowers Deaf women. These women struggle daily to overcome their physical limitations and provide for their families. Having been trained in beading, knotting, and wire-working techniques, artisans like Nancy and Peninah are now able to provide their families with plenty of nutritious foods, a consistent roof over their heads and education for their children. 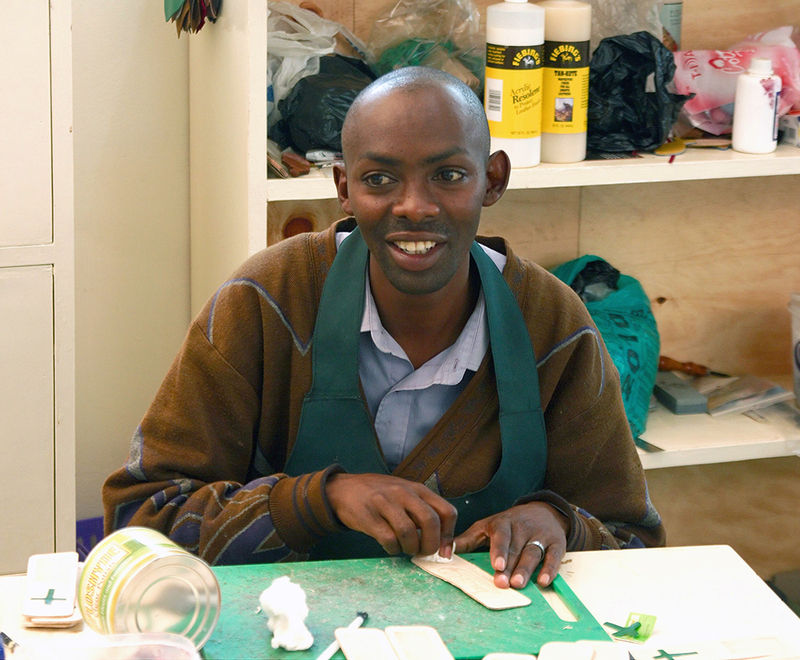 Sema of Sema Leatherworks means “to speak” or “to say” in Swahili. The men behind the bracelets of Sema Leatherworks utilize their profits for their community and surrounding areas. These men, living in Nairobi, Kenya, work four days of the week on the product. The remainder of the week is spent applying their income to improve life for the people. They are able to assist in providing for physical needs while also providing holistically with encouragement and messages of eternal hope. Sema Leatherworks is witnessing transformed lives of people who once appeared hopeless with a simple message and encouragement of eternal hope.